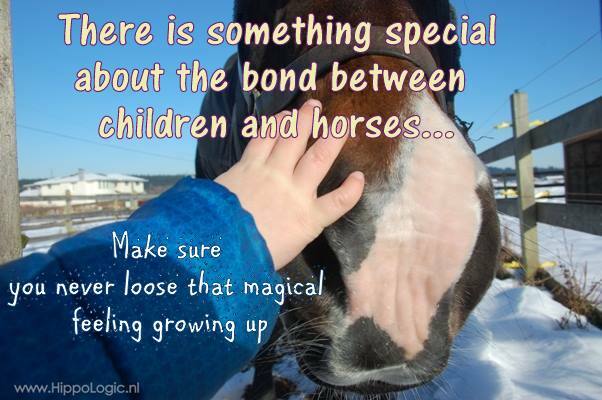 Personally I think trust is one of the most important values in a horse-human relationship. Without a foundation of trust you don’t have much to built a good relationship on. It’s easier to love someone you trust, than someone you don’t. That ‘someone’ can be a human as well as an animal. If you trust someone, you can relax in his or her company and rely upon him/her to help keep you safe and not to hurt you. We can’t learn when we are in fear and our flight-fight response is triggered. The same goes for horses.We learn best when we feel at ease and are relaxed. In other words; when we stay in learning mode. Trust is not something you can buy (with treats), force (with pressure) or gain quickly. You have to build trust, over time, with your actions. Not with words. You want all your actions (handling, training, riding) to contribute to building trust, not to take away trust. In Dutch we have a saying: ‘Trust comes by foot but leaves on a horse’ which means that trust is built slowly but can be destroyed quickly. Take this question with you every time you spent time with your horse: Are my actions contributing to building trust or not? If you don’t know the answer, place yourself in his shoes. Observe your horse’s body language, mimic it and see what emotions get triggered. Are you relaxed or tense? Can you still breathe? Do you feel safe or not? How do you build trust in your relationship and how do you measure it? One of the most underestimated challenges of positive reinforcement training can be… people in your environment. The journey to switch from negative reinforcement (most traditional and natural horsemanship methods) to positive reinforcement training (clicker training, on target training) is instructive and beautiful. It is not always a straight, fast or smooth road. It is often a winding, bumpy road with lots of ups and downs, but the views are astonishing. You will see many positive changes in your horse and your relationship. On your journey you will learn how to think outside of the box, it will teach you to become more creative. It will teach you how to think in solutions instead of problems and it will alter the relationship with your horse in an extraordinarily beautiful way. Slowly you start using more and more rewards to reinforce your horse to do things for you. Then you might slowly stop using the tools that your horse experiences as aversive, like a whip, rope halter, training stick or spurs. So far so good, until… you encounter a hiccup. Believe me when I tell you: this day will happen. Your horse doesn’t do what you ask him to do. You can’t figure out why or you can’t figure out a way to ask him differently so he will understand. You don’t have enough tools yet, so you don’t have an answer right away. That’s OK. It is OK to not know everything right away. What to do? It is perfectly normal to fall back to your old tools or habits of using pressure, force or even to inflict pain. Don’t blame yourself for it. Becoming aware is the first step in changing! Hooray! If you are prepared for this day, and it will happen, you can just simply say to yourself. “Hey, you know what? I don’t know what to do. Let’s figure it out first. Let’s find help and try again another time.” Really, it is OK not to know what to do! And it is also OK to stop your training until you do know how to solve your training problem in a way that is acceptable for you and your horse”. Choosing to make your horse your priority can be extremely hard to do. Especially when other people are watching you work. Imagine that the farrier has come to trim your horses’ feet. Your horse is afraid of the farrier or there is something else that causes your horse not to cooperate the way he normally does. It can be hard to listen to your horse and figure out the ‘why’. Your horse probably has a very good reason. Trust arrives walking and departs riding. Which means that trust is hard to build and easy to loose. Do you really want to risk your relationship with your horse so the farrier can do his/her job right now? It can be dangerous for everyone if the farrier is more a traditional person. Or would you rather choose to make sure the farrier and your horse are safe next time? Would you like to know how to deal with peer pressure at your barn? It is all covered in the Ultimate Horse Training Formula, HippoLogic’s online complete home study course. 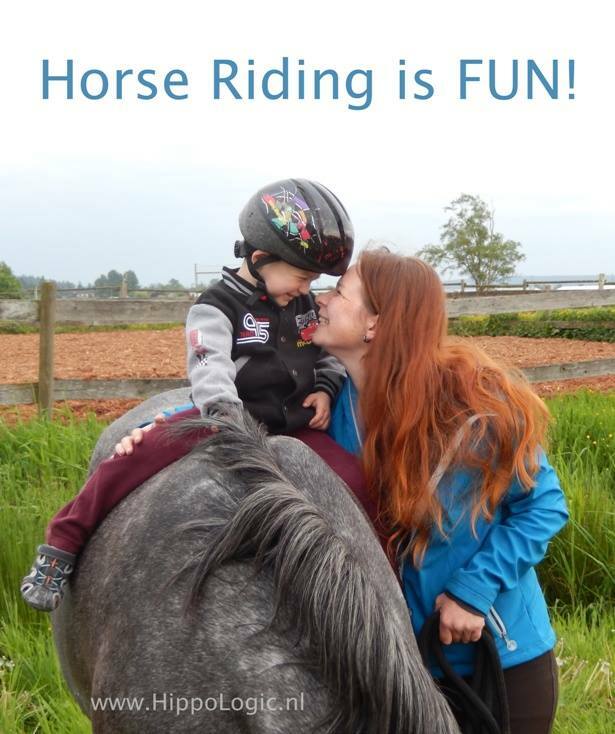 The first two items parents have to buy for their kids who start horseback riding is 1) a helmet and 2) a whip. Why? I can see why parents want to buy a helmet for their kids. Falling off of a horse or pony can be dangerous. After all, horseback riding is a high risk sport. Parents want the best for their kids. They want their kids to be as safe as possible and want to protect them the best way they can. That is why they send their kids to an instructor or riding school, who can teach them about safety and riding. The second item they buy their kids is usually a whip and after a while some proper riding boots to replace the muck boots. Why the whip*)? Isn’t it strange that you would give your kid a whip to do … what? Inflict pain to an already potential dangerous animal? Weird, if you think about it. But parents don’t think about it, they don’t know, so they just buy whatever they are told to buy. By the riding school or their kids. Which is perfectly understandable. The kids have no experience either, all they know is that everybody starts with a whip right away. They want to be like everybody else. So we can’t blame them. They are just starting their wonderful adventure: connecting and riding a wonderful gentle and graceful animal, a horse or a pony. Isn’t it strange that parents who don’t hit their kids, seems to be OK with their kids hitting an animal with a whip. An animal that is not allowed to defend himself. 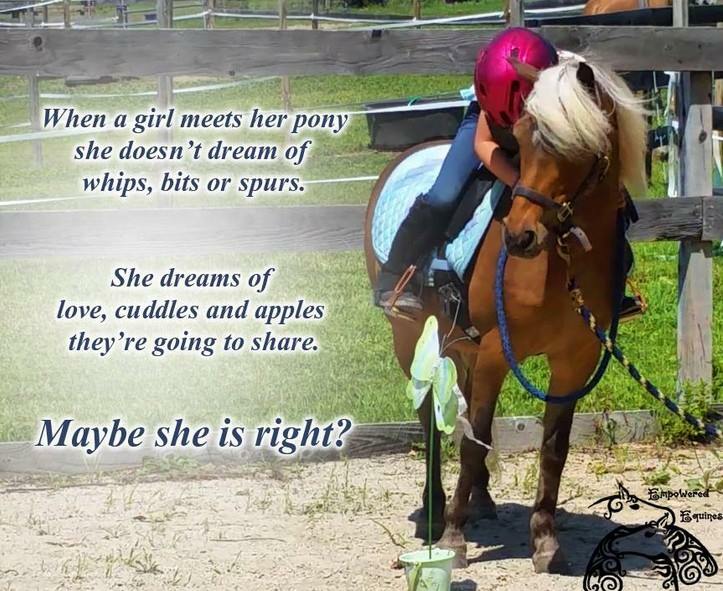 Picture a horse that fights back after a child had to whip it on advice of the instructor. If you ever experienced how painful a tap with a whip or encounter with the string on a training stick is, it is unbelievable that grown-ups are OK teaching their kids to inflict that much pain on an animal. Of course it is a taboo to speak about the serious pain one inflicts by using a whip. 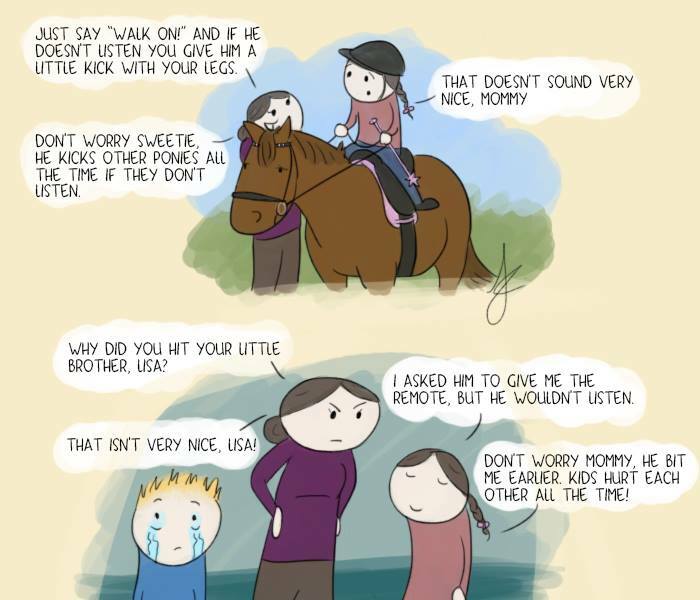 It is always the horses fault, he ‘deserves’ it, because he ‘didn’t listen’ or ‘he knows better’. If we do have questions about the whip, the instructor tells us ‘it is an extension of our leg’. Or our arm, if we do groundwork. What they mean is: ‘If you can’t kick a horse hard enough to go forward you have to punish it and use your painful whip. That will make him go. You get immediate results’. Of course you can’t sell it to the kids while their parents are watching, so they say: “The horse has to know that he has to listen” or “He has to know who’s boss” or “Don’t let him win”. People do want immediate results. That’s why trainers /riders stick to hitting a flight animal: it works (mostly) instantly. Immediate results give people often a feeling of control and power. Immediate results also give the impression of being an expert. You might have to give that up if you change your ways to positive reinforcement to teach the horse what is expected of him. No immediate results, but a better relationship instead. One based on trust and rewards, a relationship in which it is OK to make mistakes and in which the learner is encouraged to grow. Wouldn’t that be valuable lessons for novice riders? Ask yourself: who is the one who’s learning? It is the child, right? I assume that the horses in riding schools are already taught what riding aids are and how to respond properly. So why aren’t children being taught friendly ways to make the horse move? 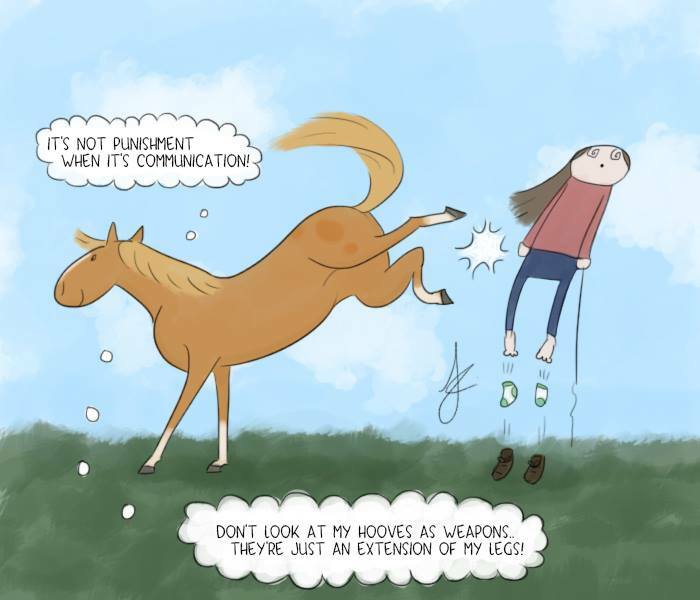 Very often the horse can’t or won’t move because the rider hasn’t learned how to move with the horse and the horse is getting mixed signals from its unbalanced rider. I have also seen unbalanced riders that are afraid to go faster and the horse picks up on that. The instructor is a powerful person and tells the unbalanced, frightened rider to use the whip. So the rider does, because he is more afraid for the instructor or doing something wrong. After all, what would happen to the rider if (s)he doesn’t listen ….. Horses are punished with a kick or a whip. What kind of message does that send to the kid? Not that I was thinking of that consciously, I just felt fear for my instructor as she shouted at me to use the whip. At the same time I felt very sorry for the horse, so I often slapped my boot. That scared the horse and made it move faster. The sad thing was that I made the instructor proud, because she thought I was hitting the horse hard enough to make it move. Carrying (and using) a whip is often played down with the phrase: The whip is just an extension of the arm. I was very afraid of most of my riding instructors. I was there to learn how to ride. I didn’t know that they would teach me negative reinforcement methods and punishment ‘to make the horse listen’. 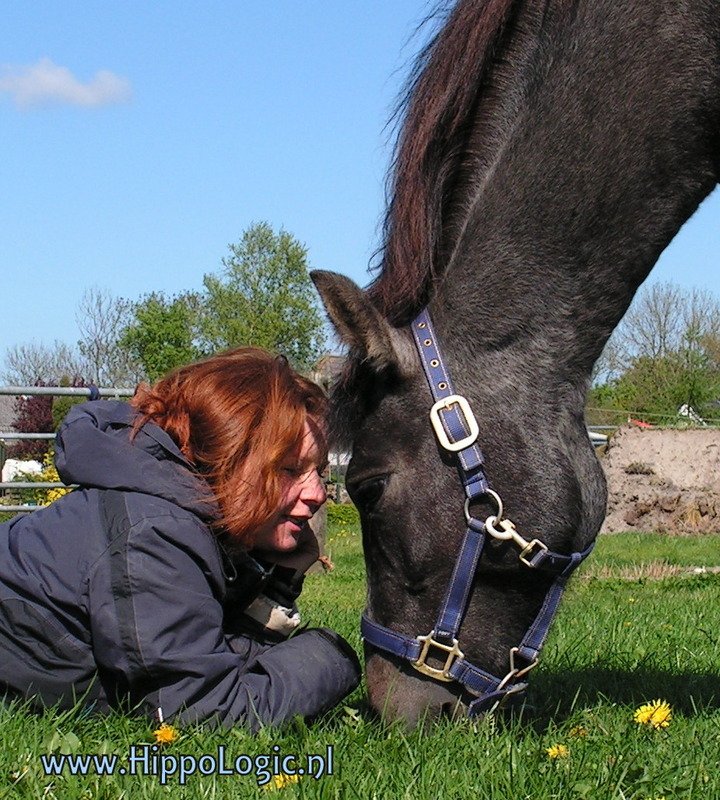 In my memory there was always more attention for the horse ‘being wrong/stubborn/lazy’ than for my mistakes (my unbalanced seat) or my lack of communication tools and knowledge. I thought horses liked to be ridden… I honestly thought that riding aids ought to be invisible and as small as possible. (I still believe that.) I thought I would learn to ride with my mind, like telepathically or at most very subtle aids. After seven years at the riding school I quit my riding lessons. I realized that I would never get to that point of using lighter aids or learn to develop a meaningful bond with a horse. On the contrary: if you where ‘good enough’ you were rewarded by riding the more ‘advanced’ horses. The horses who needed to be ridden with spurs. Literally you had to earn your spurs at this riding school. Let me tell you, by the time I was 15 years old I realized that spurs were not meant as “more subtle” aids. I already noticed that they made it easier for the rider to kick the horse forward. Not what I had in mind when I started my lessons. It is just so sad and unnecessary that many young boys and girls learn to ride this way. That they are told to ‘dominate’ the horse instead of ways to show them how they could cooperate with the horse. That they are not told how they can motivate the horse with rewards and that they are not shown how they really can build a wonderful relationship and even a friendship with a horse. I think children need that bond with animals, especially teenage girls. My dream is of a future in which all children and adults are taught how they can respect the horses’ point of view, their needs and how to motivate them in friendly ways. It is my dream that people learn to ride on well trained horses that don’t need to be kicked or whipped to move. It is my dream that people learn to ride without fear and it is my dream to have horses that enjoy teaching people how to ride. I know there are already people who teach this. All I want to say is: keep up the good work! 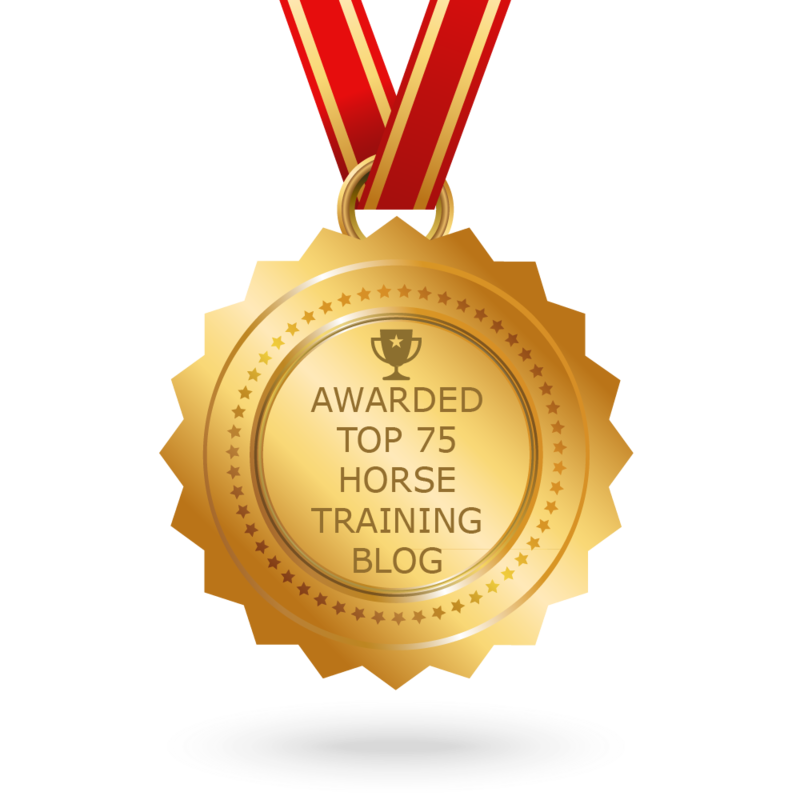 Sign up for HippoLogic’s newsletter (it’s free and it comes with a gift) or visit HippoLogic’s website and discover my online course Key Lessons, Your Key to Success in Positive Reinforcement Horse Training and learn how to train your horse so you can ride without aversives.